Ultimately, that was the question Nebraska athletic director Shawn Eichorst answered on Sunday when he announced the firing of seventh-year head football coach Bo Pelini. In his tenure, Pelini was 67-27, never winning fewer than nine games, with no major scandals and a great graduation rate. Under Pelini, Nebraska had never missed a bowl game. 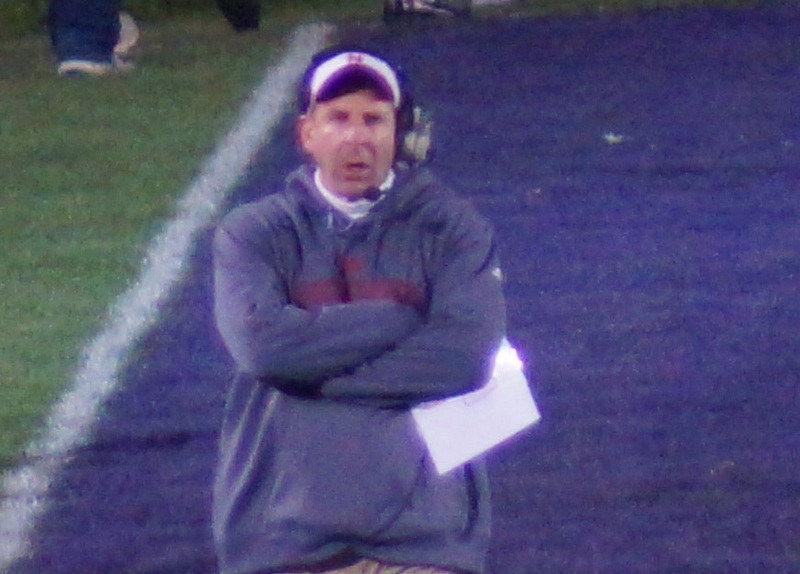 In Pelini’s seven years, only Alabama had won more games than Nebraska. Implicit in the question is the level to which Nebraska to be as a football program. If consistently appearing in bowl games, winning nine games, and doing right by your kids is good enough, then Pelini’s performance was certainly good enough. But Eichorst, in his comments about Pelini’s firing, pushed all the scarlet and cream chips into the center of the table. There’s no doubts left in that statement, is there? At Nebraska, the standard is championships. Anything less isn’t good enough. To say out loud that some games matter—and by implication, admit that some games don’t—is a pretty stunning thing to hear from an athletic director. It’s a huge act of confidence—or hubris—for Eichorst to say that Nebraska is the type of program that defines itself by trophies in the cabinet, not complied wins against the Average Joes of college football. In other words, wins over middle-of-the-road programs are expected at Nebraska, and success is defined by wins over championship-caliber opponents. That’s a high bar to set, a brave standard to hold your program. But, for most Nebraska fans, it’s an eloquent and powerful statement of how they view their team. In terms of resources and local talent pools, there isn’t a direct comparison of Nebraska with schools like Ohio State, Michigan, Florida, and other similarly situated programs. But let’s consider how Nebraska has competed with its comparable rivals. Wisconsin and Nebraska have similar challenges when it comes to recruiting bases and allures to athletes from warm-weather climates. Under Pelini, Nebraska was 1-3 against the Badgers. In the last two meetings, Wisconsin outscored Nebraska 129-55, surrendering 1100 yards of rushing offense. Nebraska is 1-3 against Michigan State, another program with comparable recruiting challenges. Nebraska has dropped two straight to Minnesota, a program over which Nebraska enjoys significant advantages in terms of resources. That’s not good enough. Eichorst said so on Sunday. And almost every Nebraska fan would acknowledge the hard truth of that assessment. Heck, Nebraska was 1-1 in the last two meetings against Iowa, needing overtime and a miracle comeback to get a win last Friday. And we heard from Eichorst how much stock he put into the win over Iowa. Iowa is, in many ways, very similar to Nebraska. Same locale. Same climate. Same lack of local recruiting talent. The Hawkeyes under Kirk Ferentz have (for the most part) gone to bowl games, graduated their players, and enjoyed a program free from scandal. Is that good enough? For Iowa fans, ultimately, the answer is yes. Some of that may be due to the monstrous buy-out clause Ferentz negotiated, making his termination far more expensive than the $7.65 million it will cost Nebraska to dismiss Pelini (as reported by the Omaha World-Herald). But more importantly, the majority of Iowa’s fan base is willing to accept the Hawkeyes’ performance under Ferentz. It’s good enough to keep filling (mostly) the stands in Kinnick Stadium, buying black-and-gold merchandise, and following the team to its bowl destination. On Sunday, Eichorst made a statement—and a gamble—that Nebraska fans do not accept Pelini’s performance as good enough. It’s a gamble because the hiring process could go bad. Nebraska fans have seen that movie, in 2003, when the coaching search descended into farce. (Houston Nutt, fer cryin’ out loud?) And the hire itself could be a flop—some guy whose name rhymes with Cill Ballahan demonstrated the damage the wrong guy for a program can do in a few short years. Eichorst has put his neck on the chopping block with this move. He’s risking his job by making a bold statement about the type of program Nebraska is, and should be, in the college football world. Pelini is a good man, and a good coach. The near-universal support he is receiving from current and former players is testament to what he did for them during their time at Nebraska. His ability to take on the cultural disaster that was Nebraska after Callahan speaks to his skill as a coach. But so does his record against championship-level competition—in Eichorst’s words, the “games that matter.” Nebraska failed to win a conference championship in seven years under Pelini’s leadership. On Sunday, Eichorst said out loud and with authority what most Nebraska fans believe. All quotes from the Omaha World-Herald. Been wrestling with this, all day. I think it’s a mistake. But, you watch and wait for the aftermath to settle. Recruits “unning” their verbals. Obviously, not unexpected. Even Solich and Callahan recruits soon jumped. I suggest that Osborne won his first title because his players overcame (Him). They literally had to break a confidence barrier, that had held his best teams back. He finally amassed enough talent in the right schemes, specifically Frazier and the 4-3, for that talent to not be denied. You see the depth of prospects on the current roster. I think they would have soon overcame Pelini. Nebraska was 2-2 against Michigan State under Pelini (3-2 if you count the bowl game after the 2003 season). Nebraska has only lost two games to Michigan State in the entire history of our program. Otherwise, good article.